Entrepreneurs looking to capitalize on the growing popularity of the hair-care and beauty industry have a very diverse range of choices to examine among the top 25 hair salon and beauty franchises of 2019. While hair salons and boutiques make up a major part of the industry, there are lots of other options within it. Choices include high-end upscale boutiques with a European flavor, trendy “blowout” boutiques that only wash and style with hairdryers, regular unisex salons for budget-conscious consumers, fun salons just for kids, and even a couple of chains that revive the old-style American barbershop experience for men. But the industry also includes all kinds of other niche boutiques for eyelash extensions, waxing services, tanning, cosmetics, and other spa-like services in a franchise model. The beauty industry has proven itself to be recession-proof because while consumers might become more price-conscious during a recession, they don’t stop spending on looking their best. In 2017, the beauty industry generated $63 billion in sales in the U.S. alone. Keep in mind that a small portion of revenues in franchise concepts (up to 15%) comes from product sales, which is an important aspect of most salon operations. Great Clips was started by Steve Lemmon and David Rubenzer in the early 1980s near the University of Minnesota campus in Minneapolis. Every location is open seven days a week and no appointment is needed. Innovations include Online Check-In so customers can add their name to the waitlist before showing up and Clip Notes, which allows stylists to preserve notes about each customer that are accessible at any location. This company currently ranks #7 on Entrepreneur magazine’s Franchise 500 list. Founded in 1982 and franchising since 1983, the number of locations has continued to climb over the past 10 years from 2,688 in 2008 to the current total of 4,261, none of which are company-owned and 150 of which are located outside the U.S.
Supercuts was created by Geoffrey M. Rappaport and Frank E. Emmett in the San Francisco Bay Area in the mid-1970s. This large chain of no-appointment-required salons offers men’s haircuts, women’s haircuts, kids’ haircuts, color services, and waxing. Every haircut can be finished off with their Hot Towel Refresher service. Product lines carried in Supercuts locations include Paul Mitchell, Biolage, Redken, American Crew, Nioxin, and more. The chain is a wholly-owned subsidiary of Regis Corporation, which owns 20 different salon brands. 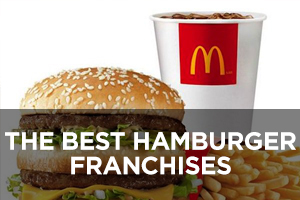 This company currently ranks #14 on Entrepreneur magazine’s Franchise 500 list. 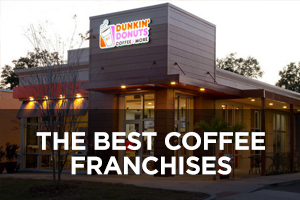 Founded in 1975 and franchising since 1979, the number of locations has continued to expand over the past 10 years from 2,133 in 2008 to the current total of 2,802, of which 913 are company-owned and 149 are located outside the U.S. Sport Clips was the brainchild of Gordon Logan who wanted to create a haircut shop men and boys would love, as opposed to going to a women’s salon or a dated, boring traditional barber shop. Taking a cue from the rising popularity of sports bars back in the early 1990s, his concept injects the love of sports into the haircut experience. 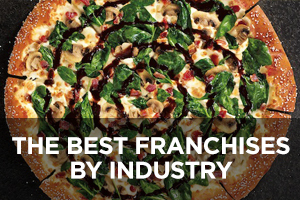 This company currently ranks #10 on Entrepreneur magazine’s Franchise 500 list. Founded in 1993 and franchising since 1995, the number of locations has grown steadily over the past 10 years from 575 in 2008 to the current total of 1,776, of which 69 are company-owned and 38 are located outside the U.S.
Merle Norman Cosmetics was started by Merle Norman 87 years ago when she began formulating her own cosmetic products. Now headquartered in Los Angeles, California, the company continues developing, manufacturing, and distributing its own full line of skin care and cosmetic products that are sold through independently-owned and operated Merle Norman Cosmetic Studios. It does not test its products or ingredients on animals, and doesn’t ask anyone to do that for them. Instead, they rely on human volunteer testing. 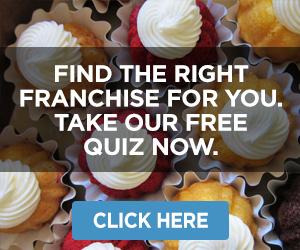 This company currently ranks #421 on Entrepreneur magazine’s Franchise 500 list. 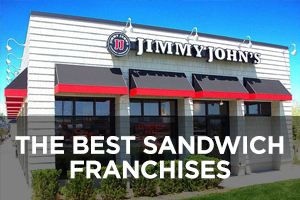 Founded in 1931 and franchising since 1973, the number of locations has declined over the past decade from 1,784 in 2008 to the current total of 1,132, only one of which is company-owned and 54 of which are located outside the U.S. Fantastic Sams is a chain of full-service hair salons that was started back in the mid-1970s by Sam Ross in Memphis, Tennessee. He originally named it Incredible Sams, but when franchising started, he decided Fantastic Sams was easier to say. His goal was to give a salon experience at an affordable price to anyone and everyone. The chain was acquired in 2011 by Dessange International, a company that owns several beauty care brands. 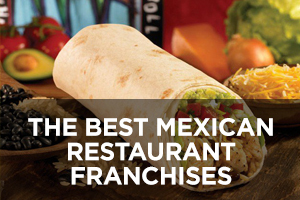 This company currently ranks #418 on Entrepreneur magazine’s Franchise 500 list. Founded in 1974 and franchising since 1976, the number of locations has declined steadily during the past 10 years from 1,355 in 2008 to the current total of 1,002, of which only two are company-owned and five of which are located outside the U.S. Cost Cutters Family Hair Care was started by Joe Francis in the early 1980s after gaining many years of experience through his previous chain, The Barbers Hairstyling for Men, which was one of the first salons to grow through franchising in the late 1960s. His goal with Cost Cutters was to provide affordable, no-frills haircuts in a family-friendly environment that doesn’t require appointments. The chain is now owned by Regis Corporation, owner of 20 different salon brands. This company currently ranks #385 on Entrepreneur magazine’s Franchise 500 list. Founded in 1982 and franchising since then, the number of locations has been steadily declining during the past 10 years from 857 in 2008 to the current total of 594, of which 221 are company-owned and all of which are located in the U.S.
Palm Beach Tan offers the convenience of monthly sunbed or spray tanning memberships with no contracts or commitments, along with a fully-automated tanning rewards program that grants loyal members free upgrades, discounts, cash credits, and so on. One of the company’s growth strategies is to convert independent shops and regional chains to the Palm Beach Tan brand. This company currently ranks #52 on Entrepreneur magazine’s Franchise 500 list. Founded in 1990 and franchising since 2001, the number of locations has continued an upward climb over the last 10 years from 157 in 2008 to the current total of 464, of which 199 are company-owned and all of which are located in the U.S.
First Choice Haircutters was started in Ontario, Canada to cater to value-conscious families. It’s a walk-in concept that is often located in strip-malls and offers a seven-day guarantee on all its products and services. The chain’s full-service salons offer hair care for women, men, and kids, including haircuts, trims, coloring, deep conditioning, and waxing. First Choice Haircutters is part of the Regis Corporation family of 20 different salon brands. 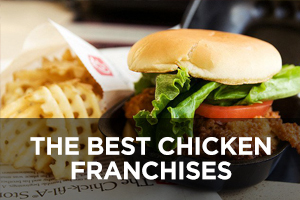 This company currently ranks #317 on Entrepreneur magazine’s Franchise 500 list. Founded in 1980 and franchising since then, the number of locations has declined slightly in recent years from a high of 452 in 2011 to the current total of 402, of which 197 are company-owned and all of which are located outside the U.S. (in Canada). Camille Albane was launched in the mid-1990s on the Rive Gauche of Paris with the recognition that when women want true style, they turn to France. This is a chain of upscale French hair salons known for its styling and color expertise that includes the trending French balayage highlighting technique. The goal is to help customers achieve a signature look with a bit of pampering along the way, including a makeup touch-up at the end of each visit. The chain is owned by Dessange International, a company that owns several beauty care brands. Founded in 1954 and franchising since 1994, the number of locations has declined from 337 in 2009 to the current total of 300+ (as claimed on the company website), none of which are company-owned and all of which are located outside the U.S. While the chain has had locations in the U.S. in the past, there do not appear to be any U.S. locations at present. Amazing Lash Studio was co-founded in 2010 by Jessica and Edward Le to capitalize on the growing eyelash extension craze with a franchising business model. The semi-permanent lashes are light-weight and come in four different basic styles. They’re attached using pharmaceutical-grade adhesive about 1mm from the eyelid and won’t come off except when your natural lashes shed themselves. The initial process takes 1.5-2 hours, with subsequent refill visits lasting 45-60 minutes. 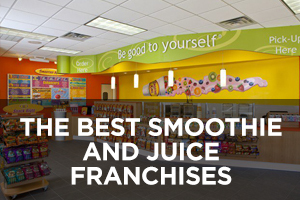 This company currently ranks #136 on Entrepreneur magazine’s Franchise 500 list. Founded in 2010 and franchising since 2013, the number of locations has expanded rapidly to the current total of 191, none of which are company-owned and all of which are located in the U.S.
SEVA Beauty calls itself “the pioneer of the fast-casual spa with nationwide locations that maximize one-stop-shop convenience and price points everyone can afford.” The company is the creation of founder and CEO Vas Maniatis to provide spa-like services such as eyebrow threading, waxing, eyelash extensions, and facials. The SEVA Express format is small (150-475 square feet) and can be located within other stores, such as Walmart and other chains, while the SEVA Spa format is bigger. 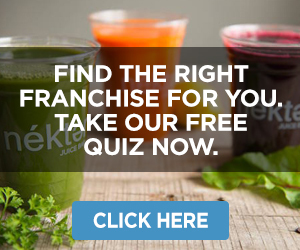 This company currently ranks #262 on Entrepreneur magazine’s Franchise 500 list. Founded in 2008 and franchising since 2010, the number of locations has dropped slightly in the last couple of years from 182 in 2016 to the current total of 172, none of which are company-owned and all of which are located in the U.S.
Drybar was started by Alli Webb when she opened her first location in Brentwood, California. She had previously perfected the art of the “blowout” through her in-home blowout side business called Straight At Home. The chain only does wash-n-dry blowout stylings, with its bar theme carried out both in the layout of each location where women sit facing a U-shaped bar with their backs to the mirrors, to the names of the different styles, such as Dirty Martini, Cosmo, Mai Tai, and so on. Even the gift cards play a part because they are designed like coasters. Founded in 2010 and franchising since 2012, the number of locations has grown to 105, 74 of which are company-owned and all of which are located in the U.S. Waxing the City was founded by Summer Hartshorn Vasilas, Marilyn Hartshorn, Robin Schoh, and Alex Arlotta in the trendy LoDo neighborhood of Denver, Colorado, on the firm belief that lots of women want waxing services without having to go to an expensive spa. Each licensed esthetician completes an extensive training course to become a Cerologist technician before serving clients. 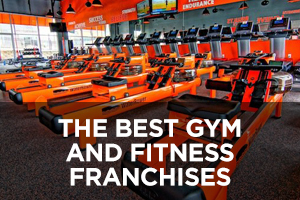 The company franchises through a partnership with Self Esteem Brands, parent company of the world’s largest co-ed fitness franchise, Anytime Fitness. 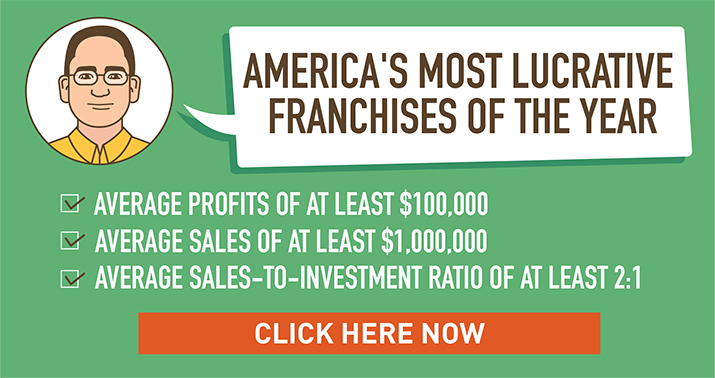 This company currently ranks #111 on Entrepreneur magazine’s Franchise 500 list. Founded in 2003 and franchising since 2010, the number of locations has climbed rapidly to the current total of 98, of which eight are company-owned and all of which are located in the U.S.
Roosters Men’s Grooming Centers was started in the late 1990s by Joe Grondin in Lapeer, Michigan, to bring back the classic American barbershop, which had all but disappeared as the unisex salon movement swept the nation. He was convinced that enough men missed the elements of the traditional barbershop to warrant a revival. In addition to men’s haircuts, the chain also offers facial shaves, head shaves, coloring to blend away grey, beard trims, neck shaves, and men’s facials. Roosters is part of the Regis Corporation of salon brands. This company currently ranks #420 on Entrepreneur magazine’s Franchise 500 list. Founded in 1999 and franchising since 2002, the number of locations has grown over the past 10 years from 24 in 2008 to the current total of 86, none of which are company-owned and one of which is located outside the U.S.
Cookie Cutters Haircuts for Kids was created to ease the often-painful process of haircuts for kids. It does this with in-store playgrounds featuring a slide; touch-screen play units in waiting areas; and TVs, video games, and fantasy chairs on the cutting floor that are like little vehicles for the kids to sit in while getting a haircut. The company motto is fun for kids, stress-free for parents. Families with multiple children can bring them all at the same time and get discounted cuts after the first haircut at regular price. This company currently ranks #444 on Entrepreneur magazine’s Franchise 500 list. Founded in 1994 and franchising since 1996, the number of locations has jumped in recent years from 24 in 2014 to the current total 83, only one of which is company-owned and four of which are located outside the U.S.
Blo Blow Dry Bar was a small company in 2008 with just three locations when Ari Yakobson, a successful owner of a children’s hair salon chain in Canada, saw the opportunity in the increasingly popular wash-and-blow-dry salon concept. He and his wife Vanessa bought the company in 2009 and started franchising right away. The main service is “wash, blo and go” with many locations also offering makeup, nails, waxing, and bridal hairstyling, The company got a major boost in 2014 when actress Gwyneth Paltrow and her own hairdresser, David Babaii, became partners. 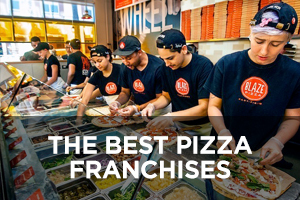 Founded in 2007 and franchising since 2009, the number of locations has climbed to 77, none of which are company-owned and 14 of which are located outside the U.S. Planet Beach Spray and Spa bucks the trend of service-specific niche salons by offering a wide range of services, including its HOTWORX infrared heat and isometric workouts, non-UV spray tans, automated massages, automated facials, red light anti-aging therapy, full body hydration, teeth whitening, UV tanning, weight management, oxygen therapy, and guided meditation. It was started by Stephen Smith in the mid-1990s when he was looking to expand his health club and gym to offer more services. Founded in 1995 and franchising since 1996, the number of locations has been declining steadily over the past 10 years from 393 in 2008 to the current total of 73, of which three are company-owned and seven of which are located outside the U.S. (as listed on the company website). Snip-its got its start in the mid-1990s when Joanna Meiseles saw the sub-par approach most salons took to giving kids haircuts. She created a salon concept for kids that was truly fun and entertaining for them. The chain has its own cartoon characters in various games and stories, the Magic Box that dispenses a prize in exchange for a swatch of hair at the end of a visit, and its own all-natural line of hair care products specially formulated just for kids. An additional revenue stream comes in the form of hosting birthday parties that include hair styling and dress-up costumes. This company currently ranks #430 on Entrepreneur magazine’s Franchise 500 list. Founded in 1995 and franchising since 2003, the number of locations has held steady in recent years and currently stands at 64, of which two are company-owned and all of which are located in the U.S.
Tan Republic was started by Lance and Kristina Donnelly with their first location in Salem, Oregon. The company motto is bronze without borders – tan is beautiful. The company offers a wide range of tanning services, including several different sunless spray tanning options alongside its UV-based beds, including the newest “high pressure beds” with lamps behind UV filters that weed out most of the harmful UVB rays but let the less harmful UVA rays through for precision tanning. Founded in 2005 and franchising since 2008, the number of locations now stands at 64, only one of which is company-owned and all of which are located in the U.S.
Pigtails and Crewcuts was a single-location hair salon for kids that Wade Brannon took his daughters to for haircuts. 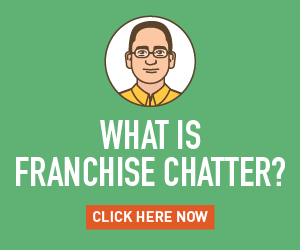 He loved the concept and thought it would be a great opportunity for franchising. As luck would have it, the original owner of the salon was ready to sell and Brannon snatched it up in 2004 to begin franchising. He was no stranger to the franchise model, having previously helped grow Heavenly Ham from one location to more than 230 before it was sold to HoneyBaked Ham. 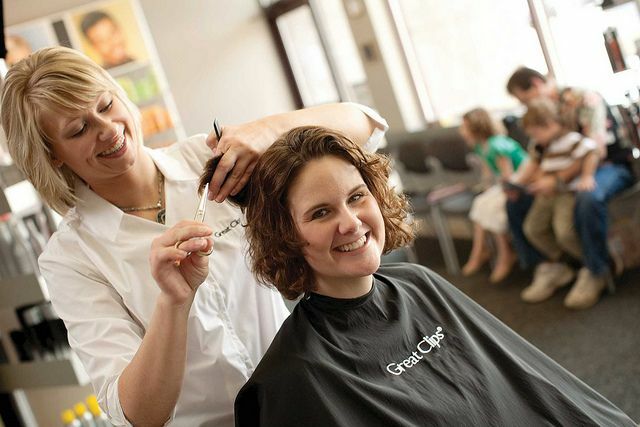 Founded in 2002 and franchising since 2004, the number of locations has expanded to the current total of 56, only one of which is company-owned and all of which are located in the U.S.
Sharkey’s Cuts for Kids is a salon chain that serves a slightly wider audience than most salons for kids, which tend to cater to younger children. Sharkey’s has all the right elements to serve children and youth with its toy-car vehicle chairs where kids can watch their favorite cartoons, or play Xbox or Playstation on 40-inch screens while getting their hair cut. But Sharkey’s also has special lounges just for tween and teenage girls who can enjoy glam styling and have their nails painted as well. The chain also offers “Glamour Girl” birthday parties. Founded in 2001 and franchising since 2004, the number of locations has increased in recent years from 33 in 2012 to the current total of 55, only one of which is company-owned and eight of which are located outside the U.S.
Deka Lash was co-founded by Jennifer Blair and her husband Mike and prides itself on several innovations, including its professional training program developed over five years; its proprietary studio design featuring custom-designed beds, chairs, and work areas; a personalized customer experience with a unique check-in system; and a membership program different from the usual package deals. Lash extensions are a hot trend right now with plenty of room for growth for the few national-scope chains that have popped up in recent years. Founded in 2013 and franchising since 2016, the number of locations now stands at 40, of which two are company-owned and all of which are located in the U.S.
LunchboxWax was founded by Debi Lane, who already had years of experience in waxing from her time at a multi-service day spa. The feedback she received about her speed-waxing service and the business results she achieved led her to believe that a waxing-only salon could fill a significant need. The chain services both women and men with no fewer than 33 different waxing services, each of which is focused on a different and very specific part of the body. Founded in 2010 and franchising since 2013, the number of locations now stands at 36, of which three are company-owned and all of which are located in the U.S.
V’s Barbershop was founded by Jim Valenzuela in 1999 because he wanted to have a place he could take his son in Phoenix, Arizona that was like the classic barbershop his dad used to take him to — the kind of shop that has been dwindling for decades. V’s bills itself as a traditional, upscale, authentic barbershop that offers men’s haircuts and hairstyling, hot lather straight-razor shaves, facials, facial massages, free neck shaves for regular customers, and even shoeshines at many locations. 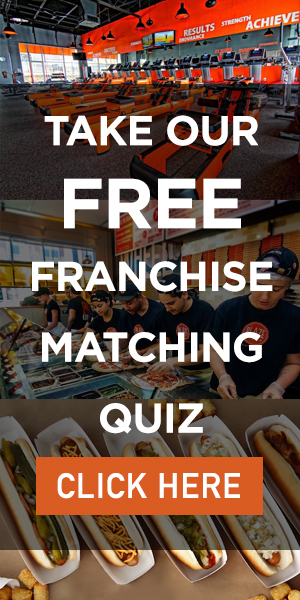 Founded in 1999 and franchising since 2005, the number of locations now stands at 36, none of which are company-owned and all of which are located in the U.S. The Lash Lounge sums up its core values in one word, PASSION, which is an acronym for Professional, Appreciation, Service-oriented, Servant leadership, Integrity, Ownership, and Never-give-up-attitude. The company was founded by Anna Phillips when she discovered how quickly and easily eyelash extensions can transform a woman’s look and boost her confidence. It was back in 2001 when she suddenly lost her IT job that she got into massage therapy, then started offering beauty services like permanent makeup. But when she began offering eyelash extensions, she soon couldn’t keep up with the demand, even after opening three lash-dedicated studios. 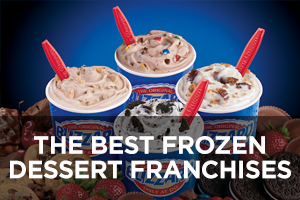 Founded in 2006 and franchising since 2010, the number of locations now stands at 14, of which three are company-owned and all of which are located in the U.S.